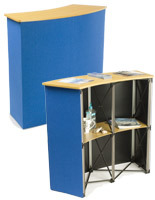 Folding Table Is The Perfect Accessory To Your Tradeshow Booth! Find This And Many More Portable Folding Tables Here At FoldingTablesNow.com! 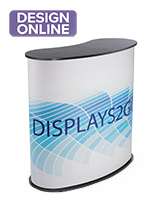 This folding table is an ideal display for trade shows, presentations, in-store displays, and other promotions. 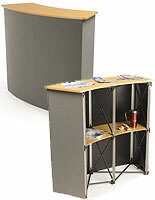 A folding table, also known as a promotional counter, is great for providing samples, demonstrating products, or holding informative literature. A folding table can also offer a great reception point, giving event attendees a convenient place to approach your exhibit. 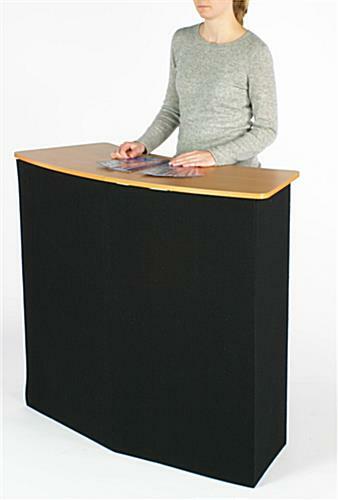 Designed to be lightweight and portable, this demonstration counter takes just minutes to set up. 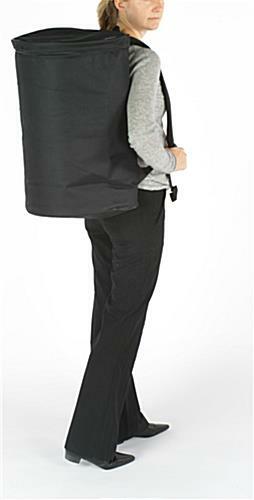 A convenient backpack is provided to make transportation easy. This folding table features a pop-up frame with magnetic connectors that snap into place when expanded. 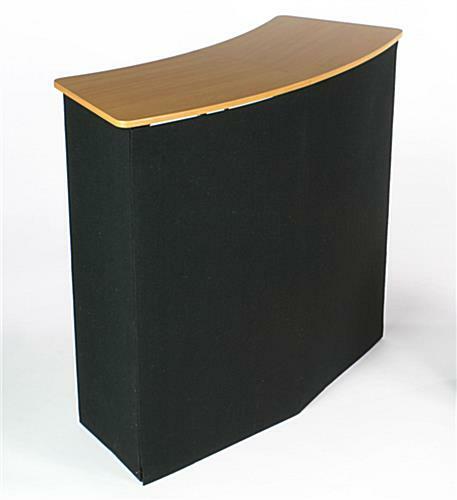 Black hook and loop fabric panels attach with magnets to cover the frame, and provide a display space for a variety of accessories. 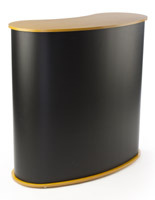 Attach any combination of literature holders, sign frames, and posters easily with hook and loop fasteners. 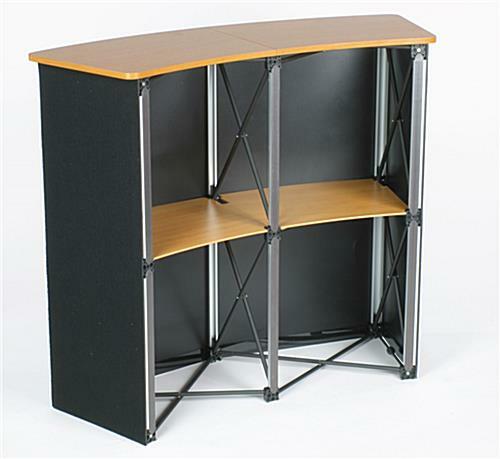 The top counter and internal shelves are made out of MDF with a wooden finish for a durable, yet attractive display. 12.0" x 23.0" x 16.0"